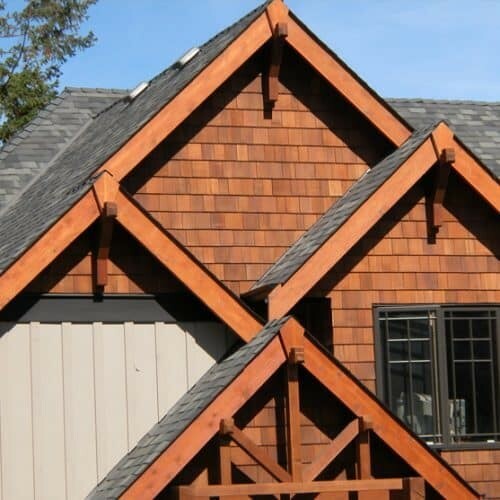 Wood Shingles Direct Cedar Wood Roof Wood shakes Direct Cedar Supplies uses a semi-transparent finish on their wood shingles to provide you with the best finish. The proprietary dipping process assures that each shingle absorbs the maximum amount of stain for maximum protection. Direct Cedar Supplies has everything you need for your building needs for wood shingles of all kinds. They also have log home packages and shakes to give you the Direct Cedar Advantage. Not only are they a manufacturer but they are also a supplier which represents a large number of Shake and Shingle mills. This gives them the unlimited access to all product types, sizes, and treatments available to you at the best prices. They have developed a network of suppliers and freight companies to fulfill your requirements. At www.DirectCedarSupplies.com, you will find a lot of useful information at the Info Center. Use coverage tables, find a contractor, and learn about the grading rules to make your job easier. The wide variety of wood shingles you will find at Direct Cedar Supplies starts with the #1 16" FIVE X shingles with blue label. The #2 shingles are 16" Red Label shingles. The #1 18" Perfections are Blue Label/Certigrade and the #2 18" Perfections are Red Label shingles. The #1 24" Roofing Royals are Blue Label/Certigrade and the #2 24" Royals are available for your individual needs. If you aren't sure which of the wood shingles are the right ones for your needs, then you can order the sample shingle pack to help you make your decision. Pre-stained cedar wood shingles are where new-age technology solves age-old problems. Staining cedar shingles on-site can be a headache since problems abound. Weather delays, wet shingles, shrink lines, lap marks, staining mess to clean up, and shingles with peeling problems can all make the job a harder task. With pre-stained cedar shingles, they arrive to your job site in easy to handle cartons that protect your investment. They put an end to trying to salvage the dirty, wet shingles that a supplier dumps on your job site. Most of the Western Red Cedar wood shingles are still stained by on hand on site, which still results in premature coating failure. Normally, lumber yards will supply shingles that aren't dried and haven't been stored properly for staining. Staining these dirty, wet shingles on site costs more and gives you a less than desirable result. 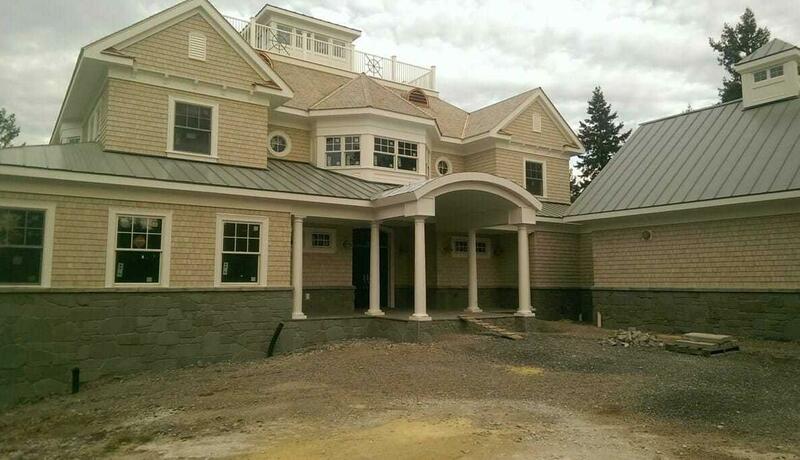 Direct Cedar Supplies uses a semi-transparent finish on their wood shingles to provide you with the best finish. The proprietary dipping process assures that each shingle absorbs the maximum amount of stain for maximum protection. They then kiln dry every shingle so that they absorb more stain. Painting contractors use less than thirty gallons to stain a home while Cedar Shingles Direct uses over 100 gallons to stain the same home. The wood shingles are backed by Sherwin Williams' 5 year limited finish warranty for added piece of mind. Their factory finishing costs less while producing a better looking finish! Go to www.CedarShinglesDirect.com to see the available colors in the semi-transparent finish. The solid color Eastern white cedar wood shingles feature the state-of-the-art finish in a x-9 Finish that provides a solid color finish that is unsurpassed. No matter what your need for wood shingles, you will find the right finish and the right wood for your use at Cedar Shingles Direct. While the use of vinyl siding has become increasingly popular in the last 20 years or so as it is considered virtually maintenance free it may not be the most aesthetically pleasing type of siding. Vinyl does come in a variety of colors, shapes and patterns, but if you are looking for something a little more natural looking then perhaps you might want to consider the use of cedar shakes instead. These shakes look very similar to those used on the roof although they tend to be somewhat smaller in size. Most people who choose to go with cedar shakes are trying to create a much more natural, country look and feel to their home than the other mass produced forms of siding available today do. These shakes are typically 48 inches long and can be used on the outside or the inside of the home if you wish to create a rustic look to the interior of your home. Natural cedar ages well and changes color over its entire lifespan yet it withstands the effects of the weather very well for many years. You will notice that cedar shakes have a much rougher texture than most other forms of lap siding and as such tend to be used primarily on the outside walls. Most people can learn to install shake siding, however it does take a certain amount of skill and you would be wise to take a course on proper installation if you have never worked with shakes before. The biggest reason for this is that they must be carefully aligned to insure proper coverage and sealing against the elements or you may have water leakage into the inner walls of your home. While using cedar shakes may be more expensive than the imitation vinyl version, due the high cost of cedar, you will most likely realize significant savings over the long run. Most customers realize that while the initial outlay is somewhat higher, the insulating value has been proven to reduce winter heating bill by a relatively large amount. For those who are concerned with doing their part to help the environment, cedar is a renewable resource whereas vinyl siding is made from a petroleum base that is non renewable. While you may be able to save money by using vinyl siding due to its lower cost, one thing that attracts many people to cedar shakes is the value that they can add to a home. Because they add both beauty and insulation to a home, cedar shakes tend to add quite a bit of value to your home if the time should come that you decide to sell and by another home. When you have made the decision to install real cedar shakes on your home instead of imitation vinyl, you will need to be able to buy your cedar shakes from a trusted company like Direct Cedar Supplies in Abbotsford, British Columbia. They carry an extensive supply of both cedar shakes and shingles to help you make your home look beautiful and well insulated, ready to be shipped directly to you as soon as you place your order. 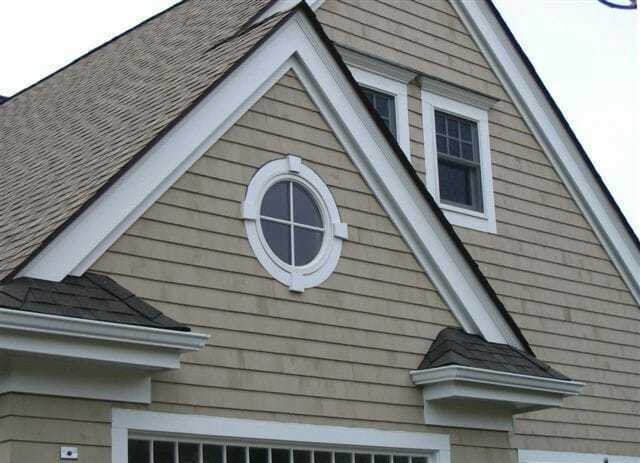 Eastern White Cedar Shingles Cedar Shingles White Cedar Shingles Direct Cedar Supplies understands that quality house siding is an important investment to add value and functionality, insulating your homes and buildings. We welcome your inquiries to allow us to give you the best advice for replacement, maintenance, and suggestions for coatings and further treatments for your cedar shake siding. There are a number of materials used in the manufacture of siding, like aluminum, vinyl, and even plastic siding, but none of them matches the warmth, character and insulation that wood siding gives you. Perhaps you already know this and have found Direct Cedar supplies because you prefer quality cedar shake siding and shingles, which will enhance the look of any home or building. There are special treatments given to cedar shake siding which make them tough against the elements and further fire retardants are added for safety, according to some state building code regulations. Once your cedar shake siding has been installed, you have a smart looking, as well as low maintenance finish, and the different wood stains you get provide you with a choice to suit any tastes in finish. You can get cedar shake siding with complementing cedar roofing from Direct Cedar Supplies, and if you make comparisons with other types of siding, you will find that this option is more cost-effective. If you have an old home where the siding has become worn and unsightly, replacing it with quality cedar shake siding from us is the solution. Read how this siding is kiln and pressure treated to withstand moisture and fungal growth, and see the difference between products on our comparison page. If you want to enhance the appearance of your home into a new look, you will find cedar shake siding the best option in looks and functionality. We offer you standard lengths in cedar shake siding, and a service to custom cut your siding according to your specifications. cedar shake siding will give your home cladding a seamless, attractive finish, and the toughness of this wood siding is appropriate for any climate. It is sensible to use a qualified contractor to install your cedar shake siding, and you are welcome to call our customer care line for advice and suggestions for the best one in your areas. 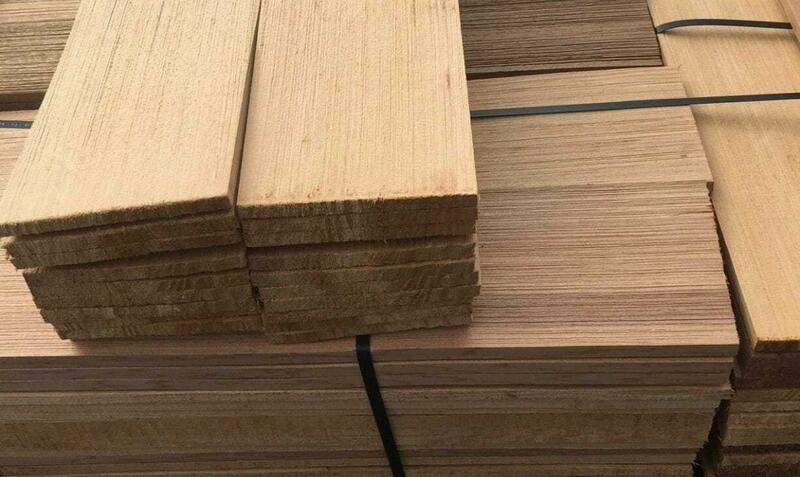 Our cedar shake siding is cut to slot smoothly into each other fitted either vertically or horizontally in slats. Look through our photo gallery to see some beautiful finishes for homes and other architecture, where cedar shake siding and complementing shingle products have been used. We can make suggestions for quality, long lasting siding for your restoration and home improvement products, and best of all, the entire supply is available from our warehouses. Direct Cedar Supplies understands that quality house siding is an important investment to add value and functionality, insulating your homes and buildings. We welcome your inquiries to allow us to give you the best advice for replacement, maintenance, and suggestions for coatings and further treatments for your cedar shake siding. Our website has been designed for your convenience to inform you of what the best options are in roofing and siding, and once you are satisfied, you can conveniently order any quantities you need after registering a secure account on this website. Your siding is shipped using reputable shipping companies to your desired locations nationwide. CEDAR SHAKE SIDINGS There are a number of materials used in the manufacture of siding, like aluminum, vinyl, and even plastic siding, but none of them matches the warmth, character and insulation that wood siding gives you. Perhaps you already know this and have found Direct Cedar supplies because you prefer quality cedar shake siding and shingles, which will enhance the look of any home or building. There are special treatments given to cedar shake siding which make them tough against the elements and further fire retardants are added for safety, according to some state building code regulations. Once your cedar shake siding has been installed, you have a smart looking, as well as low maintenance finish, and the different wood stains you get provide you with a choice to suit any tastes in finish. You can get cedar shake siding with complementing cedar roofing from Direct Cedar Supplies, and if you make comparisons with other types of siding, you will find that this option is more cost-effective. If you have an old home where the siding has become worn and unsightly, replacing it with quality cedar shake siding from us is the solution. Read how this siding is kiln and pressure treated to withstand moisture and fungal growth, and see the difference between products on our comparison page. If you want to enhance the appearance of your home into a new look, you will find cedar shake siding the best option in looks and functionality. We offer you standard lengths in cedar shake siding, and a service to custom cut your siding according to your specifications. cedar shake siding will give your home cladding a seamless, attractive finish, and the toughness of this wood siding is appropriate for any climate. It is sensible to use a qualified contractor to install your cedar shake siding, and you are welcome to call our customer care line for advice and suggestions for the best one in your areas. Our cedar shake siding is cut to slot smoothly into each other fitted either vertically or horizontally in slats. 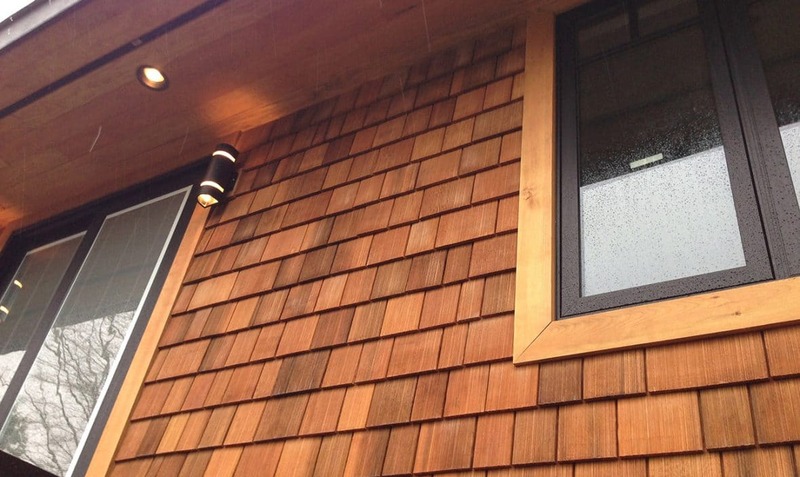 Look through our photo gallery to see some beautiful finishes for homes and other architecture, where cedar shake siding and complementing shingle products have been used. We can make suggestions for quality, long lasting siding for your restoration and home improvement products, and best of all, the entire supply is available from our warehouses. Direct Cedar Supplies understands that quality house siding is an important investment to add value and functionality, insulating your homes and buildings. We welcome your inquiries to allow us to give you the best advice for replacement, maintenance, and suggestions for coatings and further treatments for your cedar shake siding. Our website has been designed for your convenience to inform you of what the best options are in roofing and siding, and once you are satisfied, you can conveniently order any quantities you need after registering a secure account on this website. Your siding is shipped using reputable shipping companies to your desired locations nationwide.